The Event will be from 2:30 p.m. -5:30 p.m. Feb 9th ! Open Bar, Free Wine & local vendors will be in the building . Enjoy Desserts, Music & Raffles ! 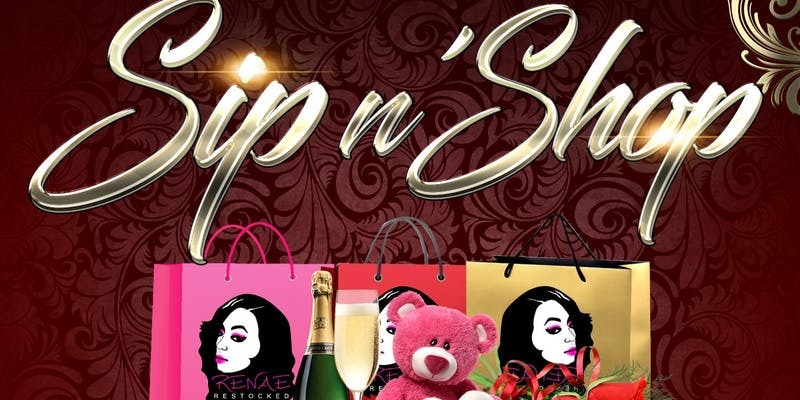 Tickets $15 Purchase your Tickets Now you Dont want to Miss Part 2 SipNShop ! Renae Restocked ❤ Happy 2 Year Anniversary Renae Restocked! Tickets include:1 Raffle Ticket, Food & Drinks! Extra Raffle tickets are $1 at the Door! Take part in special deals, promo & of Course Free Wine !